Terry Chan Photography: Outrageous Gas Prices! This is insane! This is not trick photography nor very good Photoshop work. The display is correct. 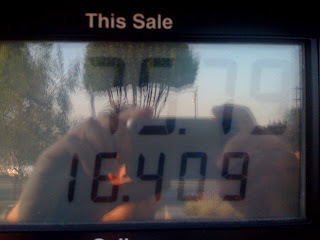 I just filled up my gas tank and it cost me almost $76! And I filled up my tank 5 days ago. That's an average of $18 per day to operate my car for commute. I gotta find another way to get to work.